With the Regional Settings, you have the ability to specify which countries and states/territories for which you would like to fulfill orders. 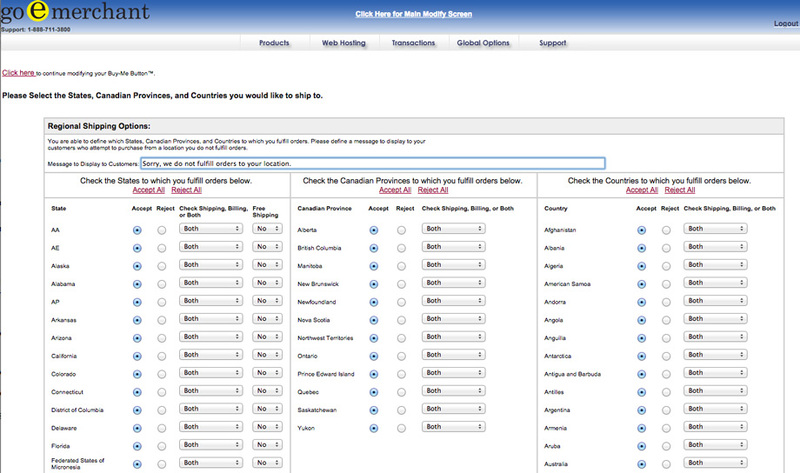 You can configure both Shipping and Billing for these options. Next to Message to Display to Customer, enter a message you would like displayed to customers who attempt to purchase from a location for which you do not fulfill orders. Your changes will be saved, and will update in your store automatically.